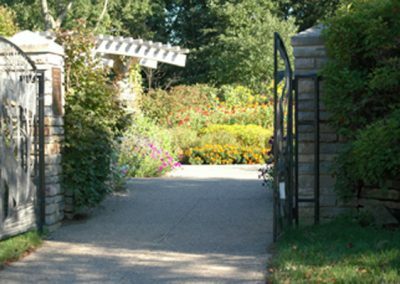 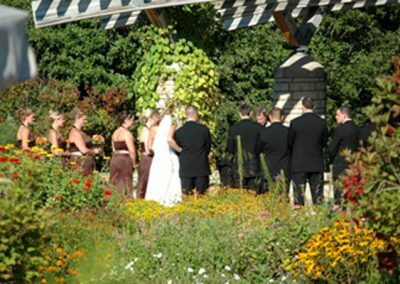 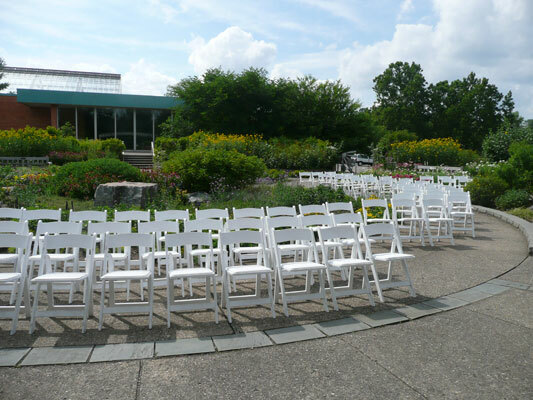 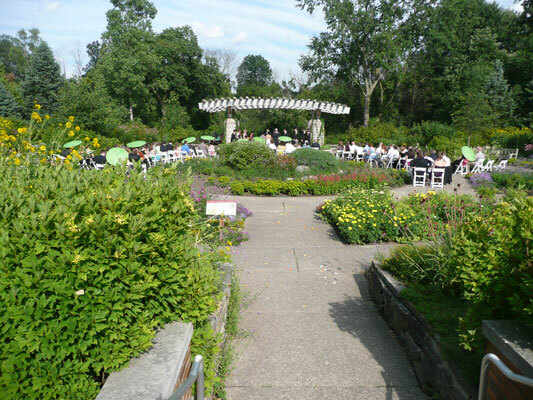 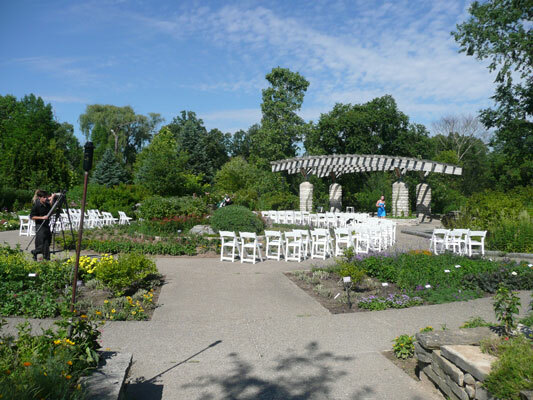 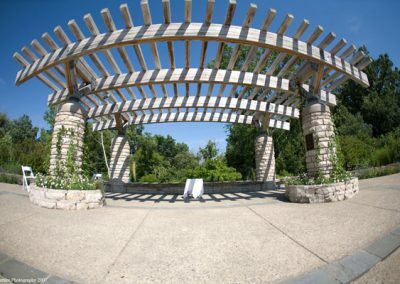 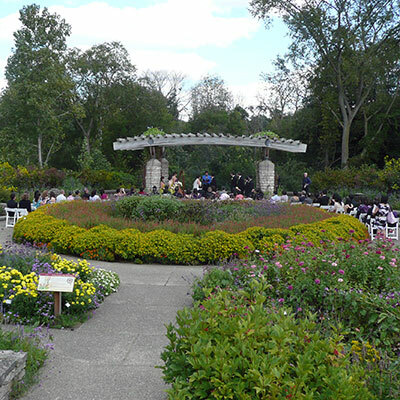 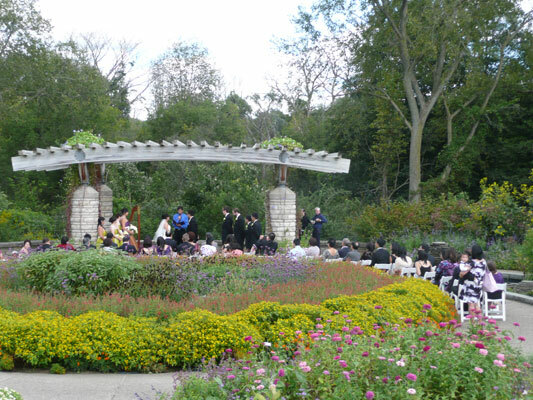 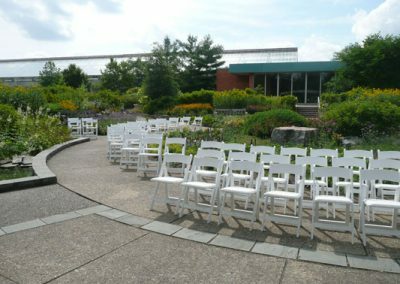 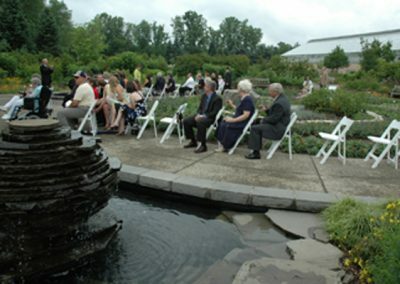 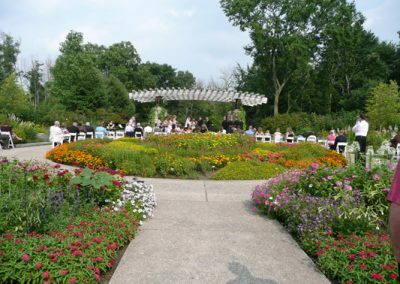 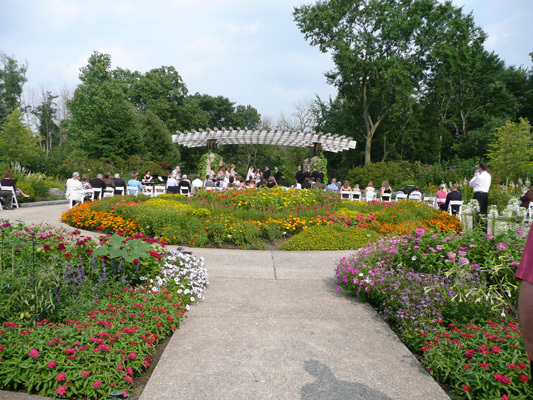 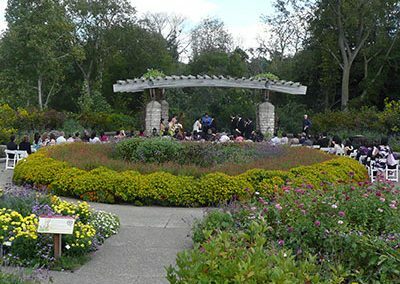 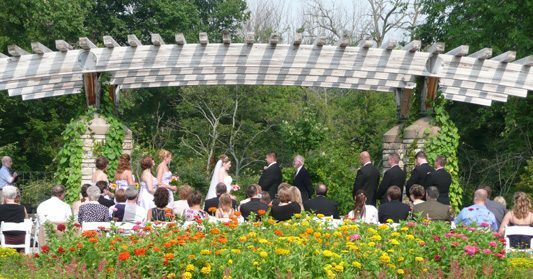 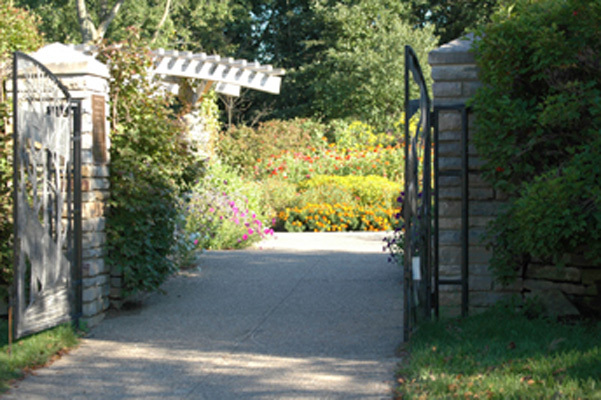 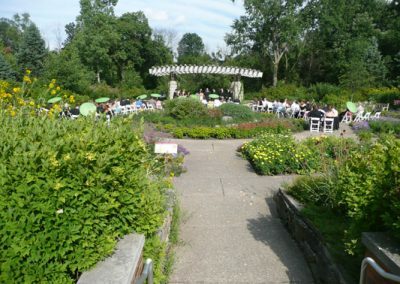 Vividly colored annuals and perennials bloom July through September in this popular garden venue for weddings at Matthaei Botanical Gardens. 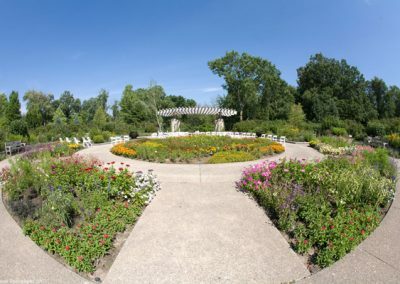 Sunflowers, zinnias, marigolds, milkweed, poppies, purple coneflower, salvia, and many others blaze with color as they attract butterflies and hummingbirds to the blossoms. 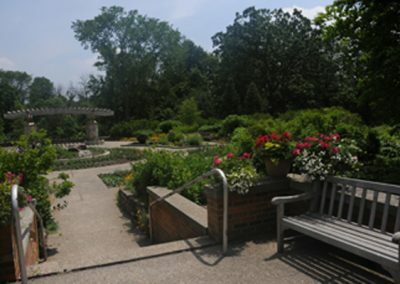 The central bed is planted with shrubs and accent boulders, with an array of flowering annuals encircling. 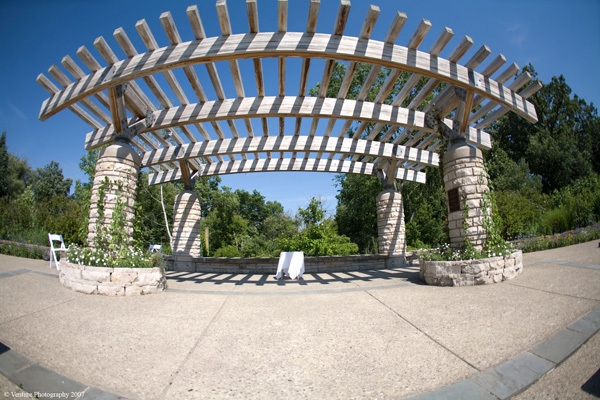 Scroll down for a panoramic view and photo gallery of the Gateway Garden. 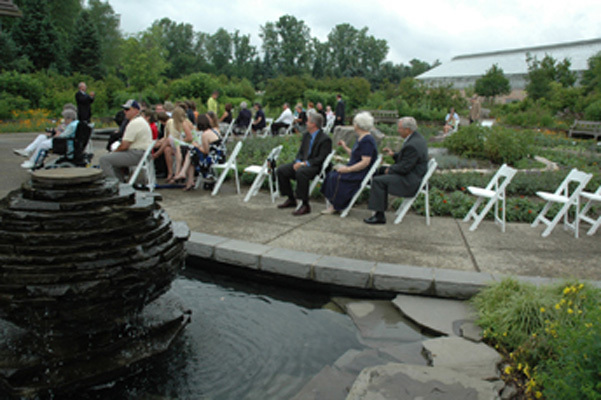 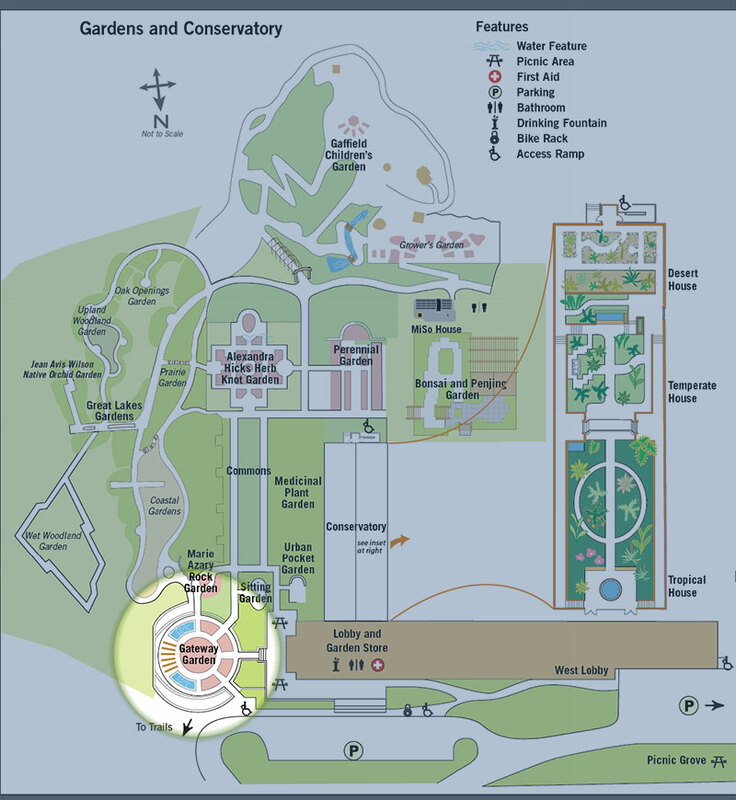 The pavilion is the focal point of the garden and is flanked by two beehive-shaped stone fountain pools. 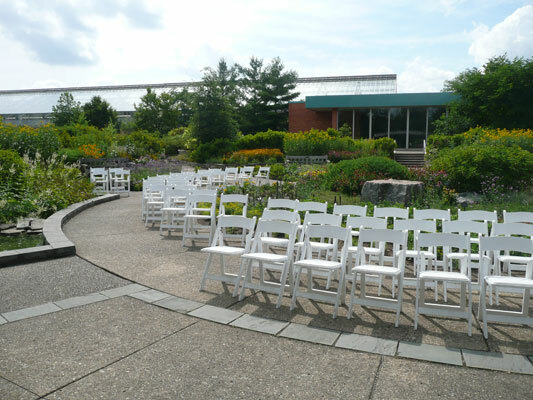 It makes a perfect gathering area for your ceremony to take place. 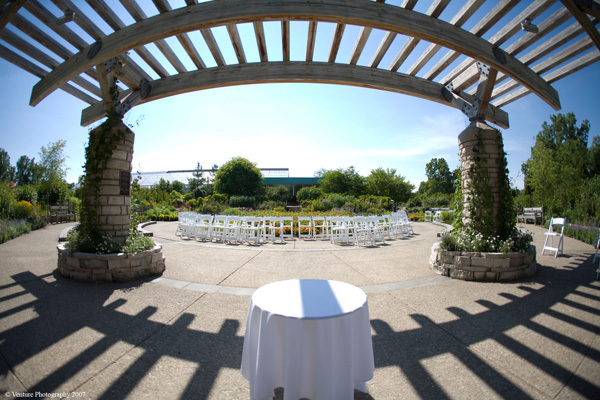 This large space will take up to 150 guests including the wedding party. 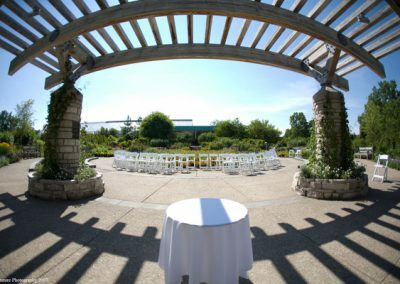 The round design and radiating pathways will ensure all your guests have a great view of the ceremony from wherever they sit. 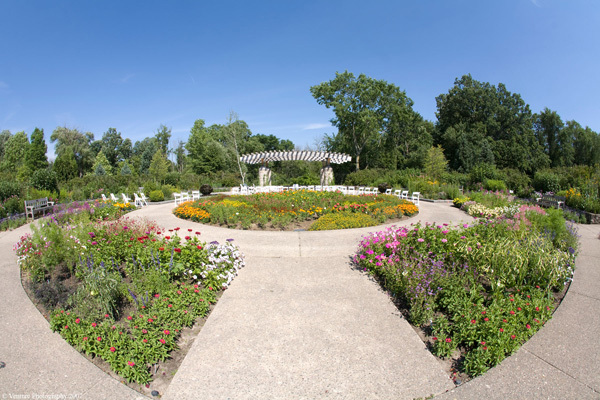 Over 6,000 annuals are used to plant this garden, which is available for ceremonies that are scheduled beginning the last weekend in June through the end of September. The Gateway Garden is at its peak mid-July through early September. 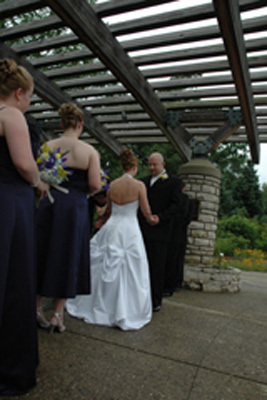 There is electricity at the bases of the two back pavilion pillars. 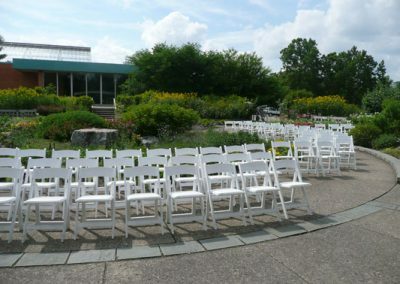 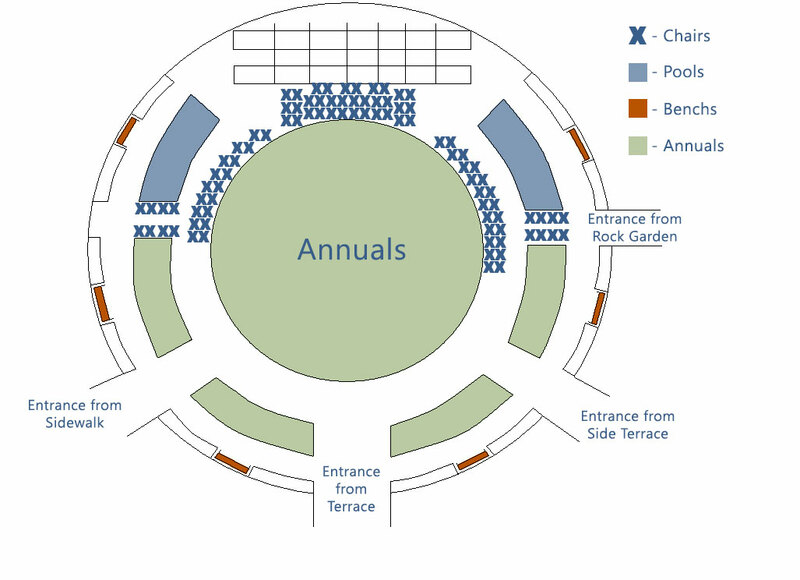 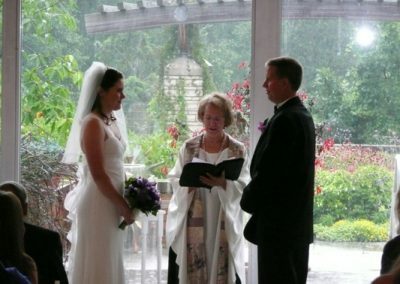 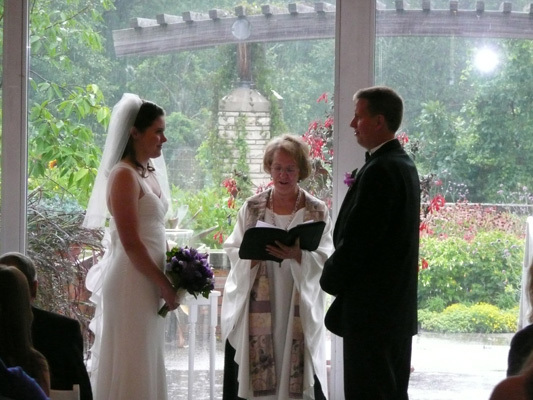 In the event of bad weather, our Auditorium or Conservatory can be used as a backup ceremony location. 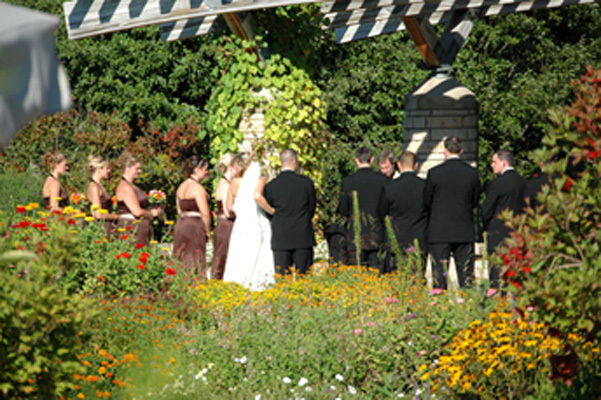 Contact us online or by phone at 734-647-7808.